If you’ve been seeking a family-friendly SUV that’s efficient and safe, your search can end here. The new 2018 Nissan Pathfinder is a fuel-efficient SUV that’s ready for any adventure you have in mind. Test-drive the Nissan Pathfinder to experience its powerful yet efficient engine, intuitive safety features, and premium comforts. The Nissan financing experts at our Nissan dealership near Minnetonka, MN, are standing by to go over your loan and lease options. When you buy the 2018 Nissan Pathfinder you can drive with peace of mind thanks to the host of safety features it offers. Standard technologies like Automatic Emergency Braking allow your Nissan SUV to autonomously slow or stop if a hazard is detected, and a RearView Monitor makes it easy to back into or out of tight parking spots. These driver-assistive features work with optional performance upgrades like the Intelligent 4×4 system to keep you safe when the conditions get rough. Plus, you’ll be able to spend less time and money at the gas pump, as the fuel-efficient V6 engine returns up to 27 highway mpg. If you’re looking for comfort and versatility, you and your family will love the 2018 Nissan Pathfinder. The spacious cabin can comfortably seat seven people, and the available Tri-Zone Entertainment System will have everyone feeling like they’ve got the best seat in the SUV. Plus, a standard 8-inch color display with multi-touch control puts all of your entertainment options right at your fingertips. There’s plenty to love in the 2018 Nissan Pathfinder, so schedule a test-drive at Walser Nissan Wayzata to experience everything it has to offer. 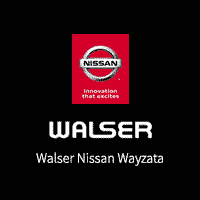 Walser Nissan Wayzata offers a unique approach to buying or leasing a new, used or Certified Pre-Owned Nissan. You can shop with confidence thanks to our flexible return and exchange policy, and our Upfront Pricing lets you know right away what you’ll be paying for a vehicle. Come test-drive the 2018 Nissan Pathfinder today, then meet with a Walser Nissan Wayzata financing expert to go over your loan and lease options!